3 Times The Effect 100 Times The Impact! You name a random card, spectator one picks a random number. Next you name a second random card and a second spectator picks a different number. Finally, YOU name a number and spectator three names ANY CARD he likes. Get this, you ALWAYS choose first ! We bet you can see where this is going and are already thinking how the...! 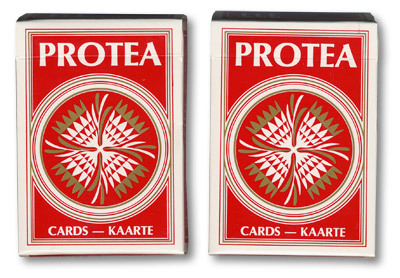 OK - here goes: You open the card case and remove the deck. You freely show that all 52 cards have different numbers on them. You remove the card spectator number 3 named and place it face up on thier hand. You now turn the deck over and remove the cards bearing the numbers spectators one and two named. When you flip over the first two you have an exact match card/numbers! The third card is still face up, Remember, spectator three had a free choice of ANY card. It couldn't possibly be, could it? The spectator turns it over - it's the exact number you named !!! All three spectators are left holding the exact card/number match that they picked! How clean is TRILOGY? Well, there are NO sleights or cosy handling of any kind. There are NO forces, NO one-ahead and NO sticky cards. Comes complete with 2 special decks and instructional DVD. Simply enter your details below and we will send you an e-mail when “Trilogy version 2.0 (W/DVD) by Brian Caswells and Alakazam Magic” is available to ship!